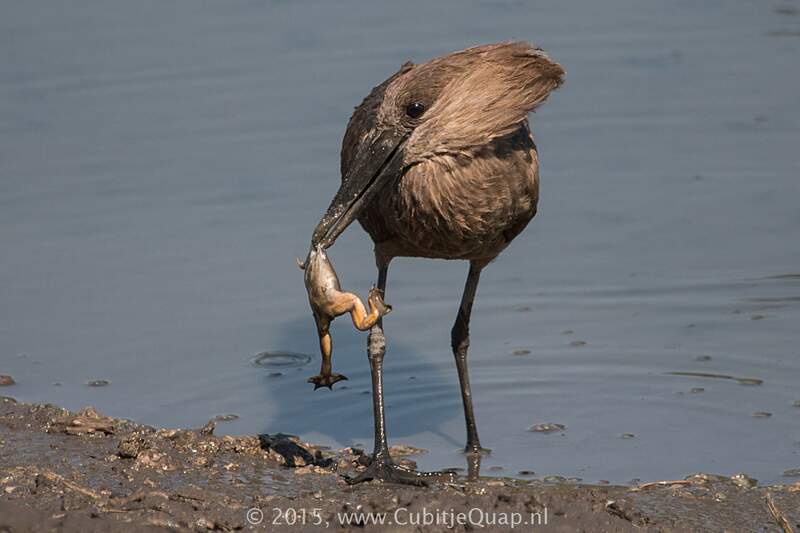 Tadpoles, frogs and fish are the main foodsource for the hamerkop, so spotting one eating a small bird, probably a finch or a quelea, was very special. 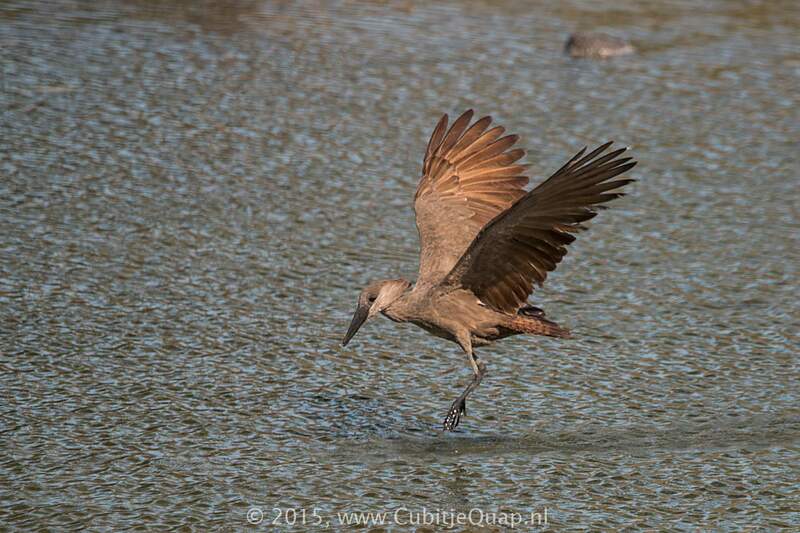 On the edge of Kwang waterhole the Hamerkop repeatedly slammed the small bird to the ground and every once in a while it dipped its prey in the waterhole, possibly to rinse it. 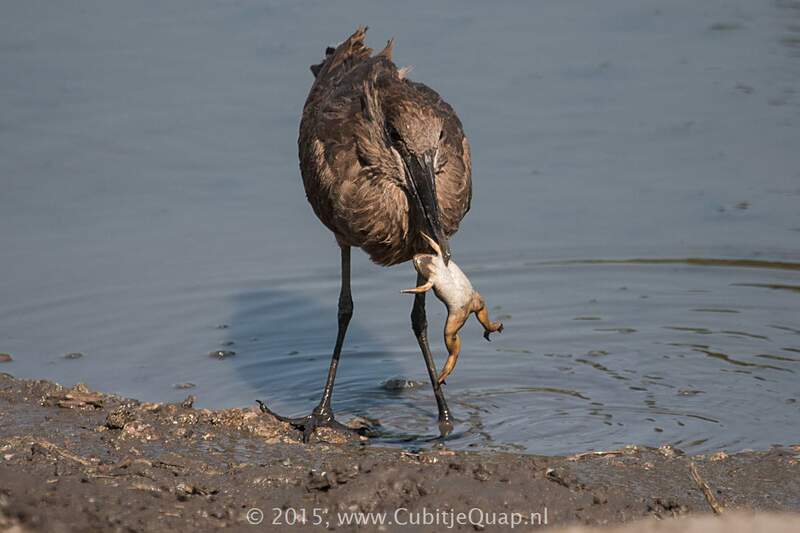 It was impossible to see if this was its way to kill the little bird or if it was just the way to get it properly positioned in its beak to swallow it (whole). 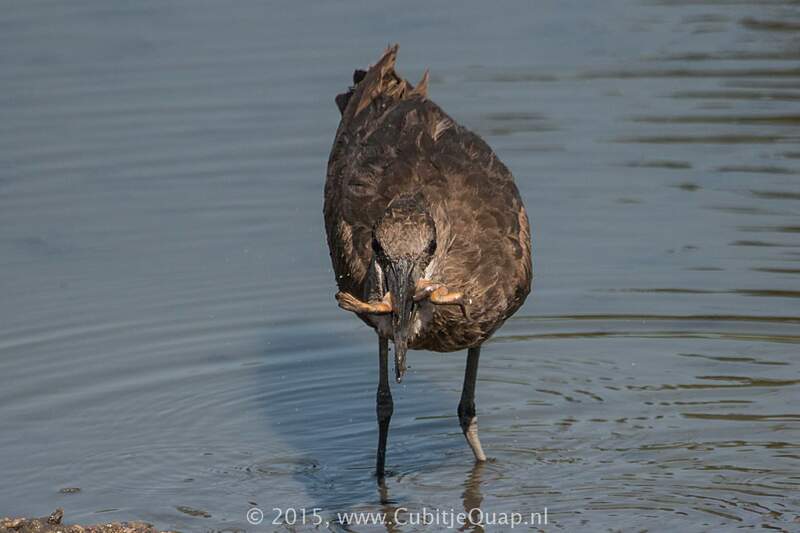 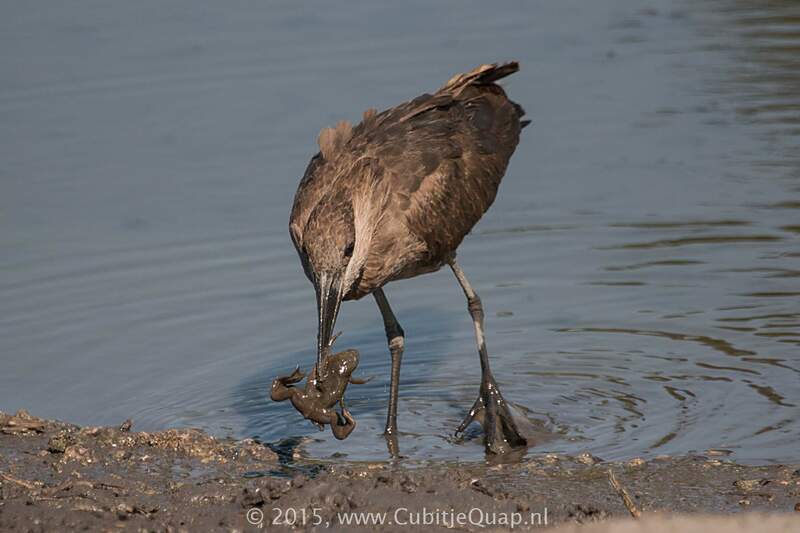 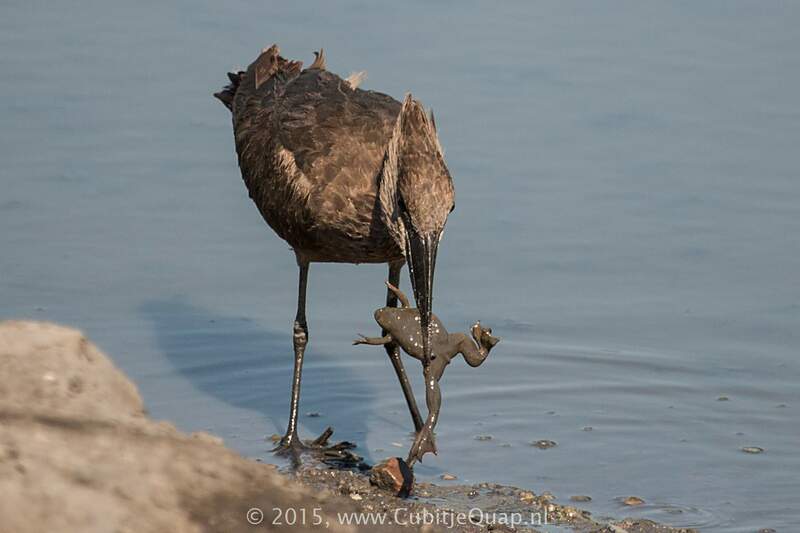 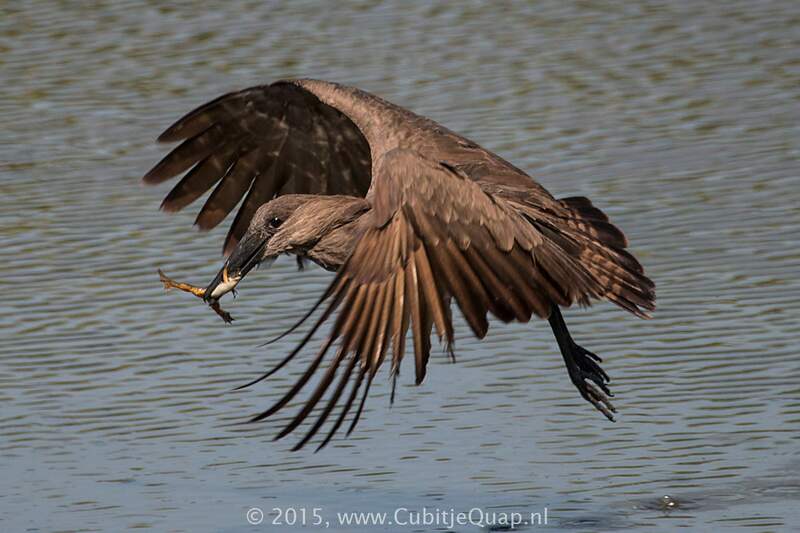 At Ntandanyati birdhide we saw a hamerkop that cuaght a frog. 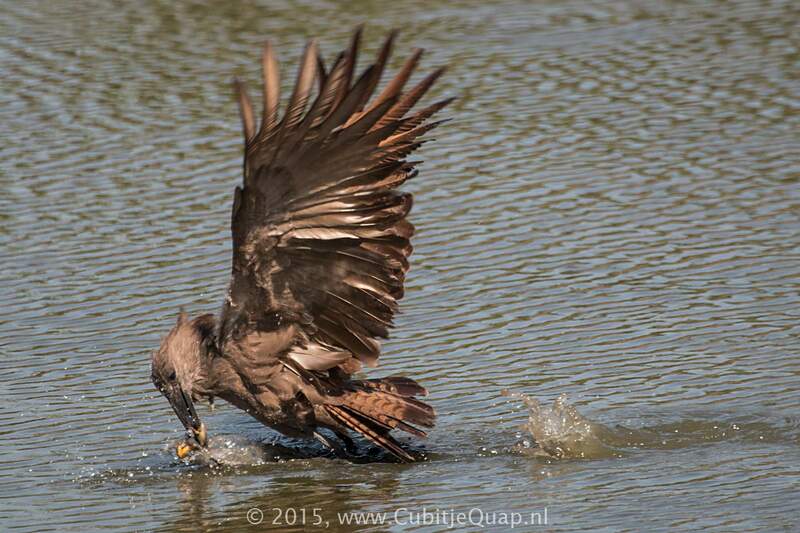 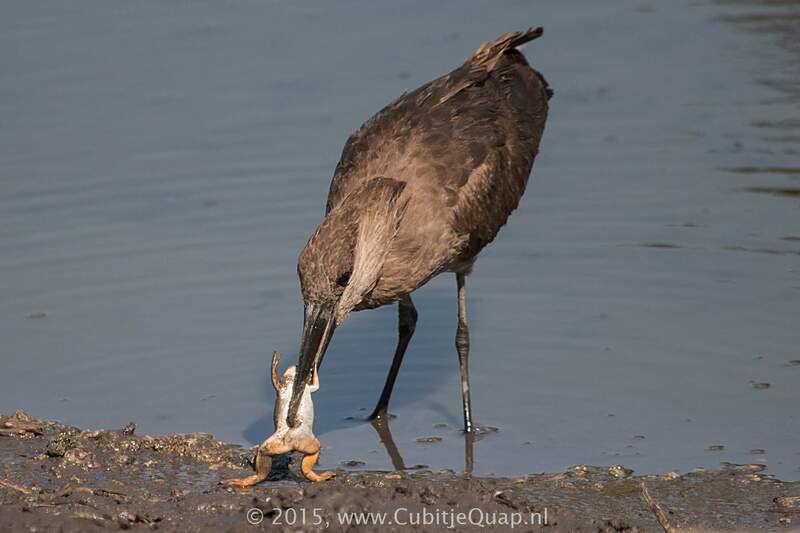 This time the bird also took some time to prepare or play with its prey. 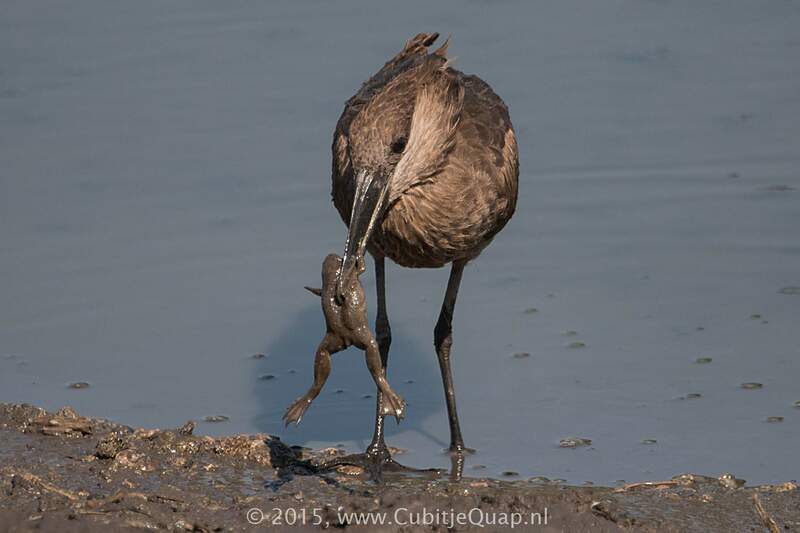 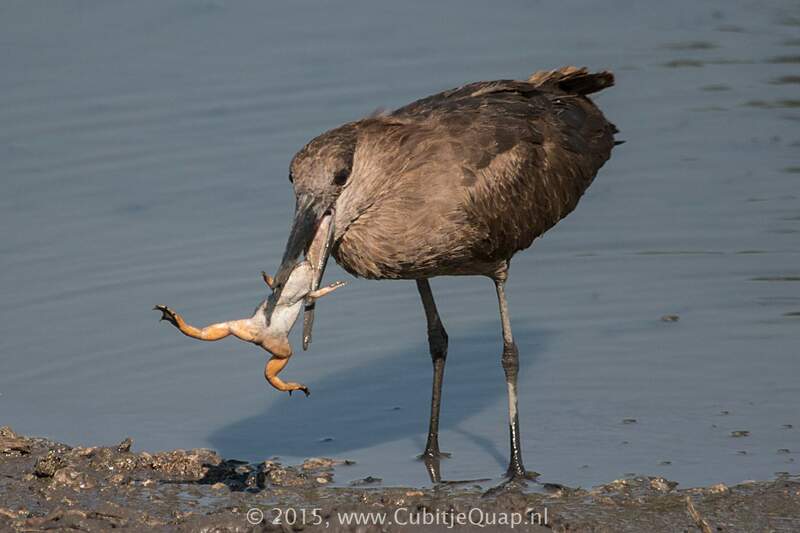 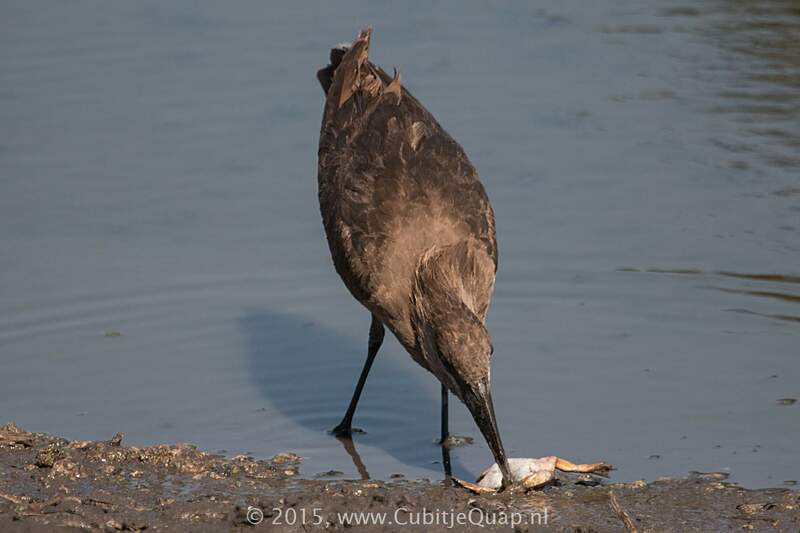 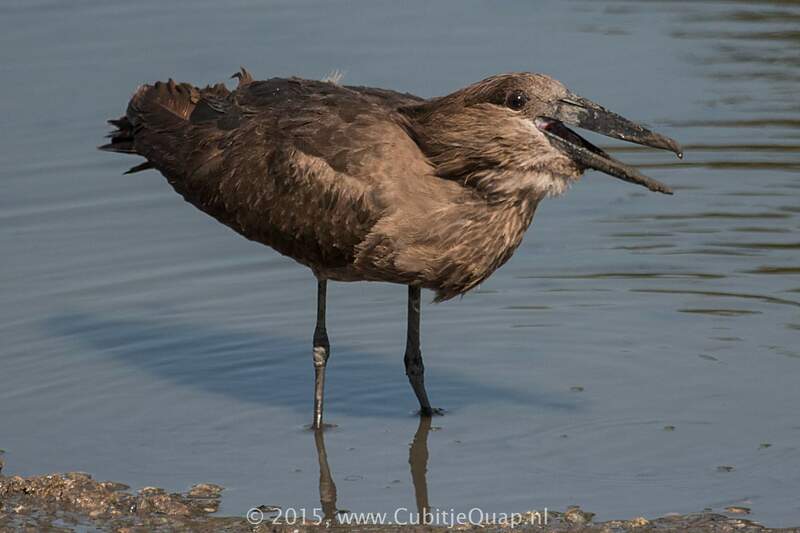 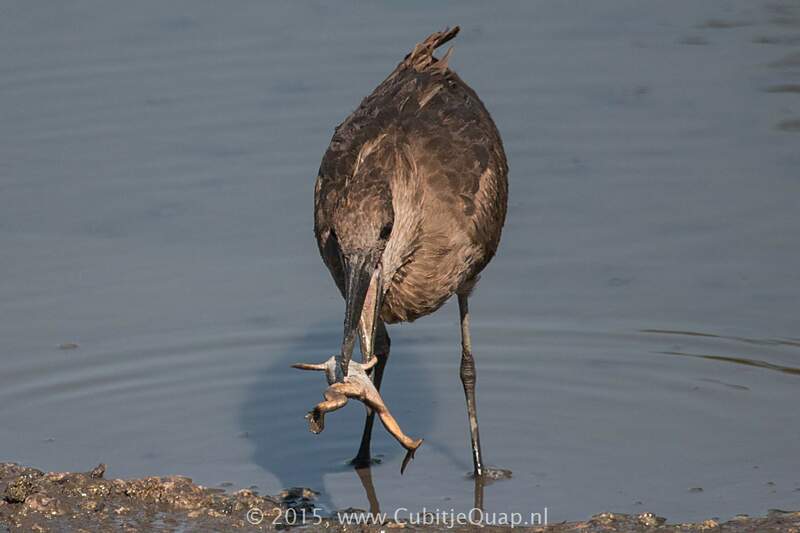 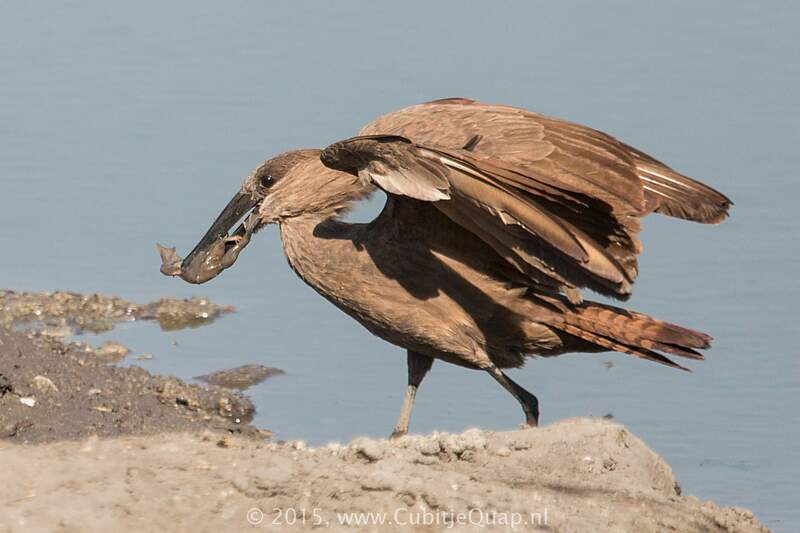 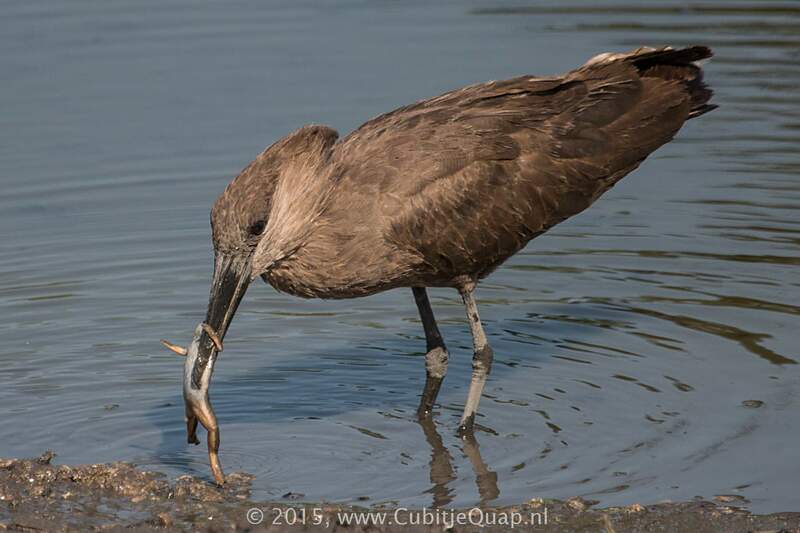 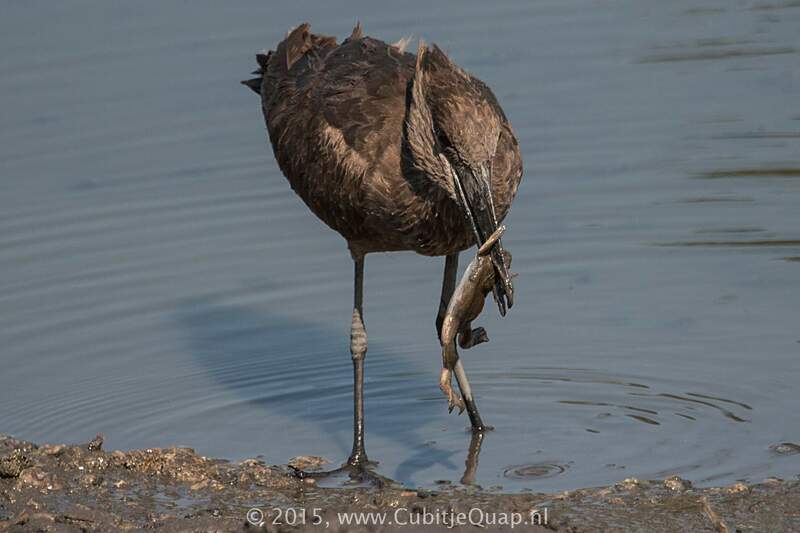 It looked like the hamerkop rinsed the frog in the river before swallowing it.